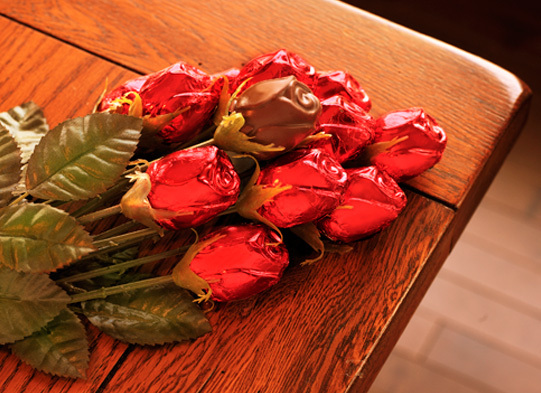 Show them you love them with 12 delicious red foiled chocolate roses! Everyone's beloved flower turned into a deliciously creamy Belgian chocolate rose. Who could resist a dozen Long Stem CHOCOLATE Roses! Individually foiled 1 oz. Belgian milk chocolate rose bud on a 12" artificial stem (featuring realistic leaves). Each rose is individually bagged in a clear cello wrapper.